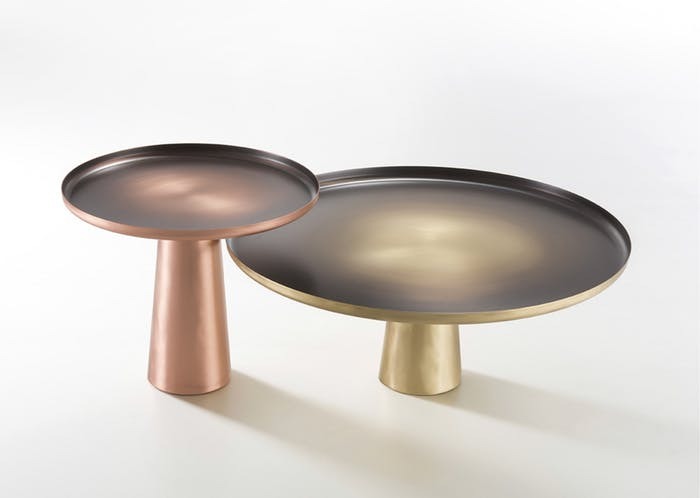 Two small tables, like big trays, enhance brass and copper chromatic features. A hand-made finishing where material shows its pureness, creating darker shades thanks to a monitored and gradual oxidation. 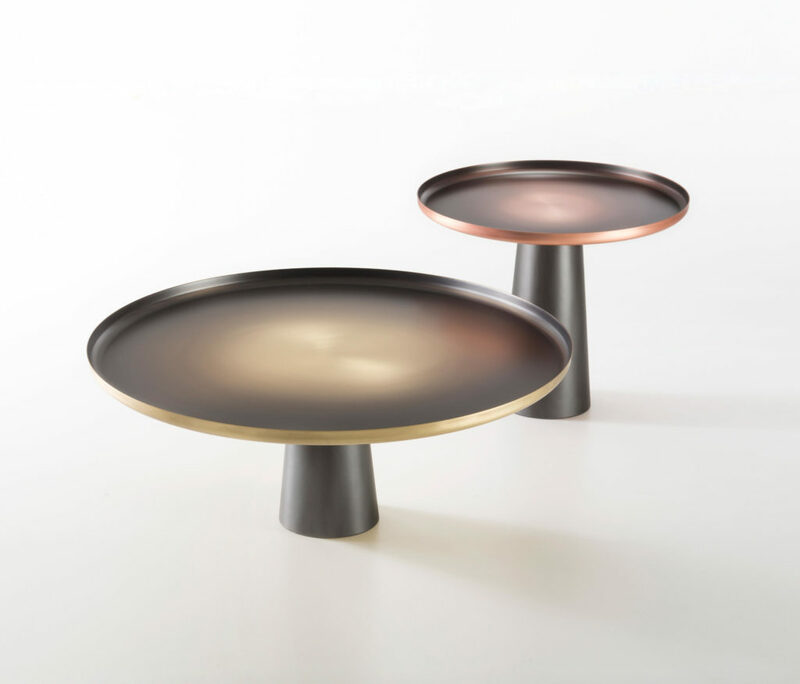 The base, made with délabré iron, sustains the tray-like surface creating a strong chromatic contrast. The Sunrise&Sunset collection is provided in two different heights, representing the sun rising and setting on the horizon.